Through our years of work with children's hospitals, we've discovered that art has the power to bring hope, healing, and restoration to children facing serious illness, and to their families. 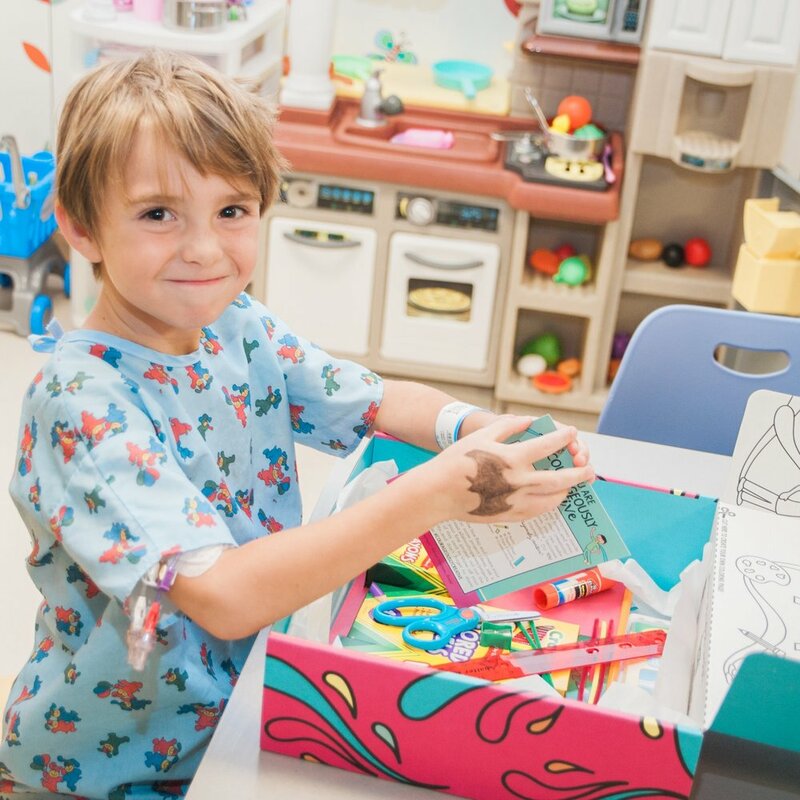 Our Hope Boxes are bright, colorful, and fun—specifically designed to brighten a child's day and encourage their courageous creativity! Kids are encouraged to remove the top of the box, which doubles as a coloring page! Give a Hope Box today! Interested in running a supply drive for All About Hope? Contact us below to request our current wish list! All About Hope is a Guidestar Gold-accredited 501(c)(3) non-profit organization. All donations are tax deductible.